MyLabsForLife.com is happy to introduce specialty testing from Great Plains Laboratory, Inc. Great Plains Laboratory is a world leader in providing testing for nutritional factors in chronic illnesses such as autism, fibromyalgia, and AD(H)D. Through MyLabsForLife.com, Great Plains Laboratory offers a variety of metabolic tests such as immune deficiency evaluations, amino acid tests, essential fatty acid tests, organic acids testing, metal toxicity and food allergies tests. The Great Plains Laboratory, Inc. (GPL) is a research-based clinical laboratory offering testing for nutritional factors in chronic illnesses worldwide. GLP is dedicated to assisting individuals as well as healthcare practitioners make a difference by helping those who choose a Functional approach to health and wellness achieve their maximum potential through quality laboratory testing. Many of the tests that are offered at The Great Plains Laboratory, Inc. are available through MyLabsForLife.com, which is responsible for ordering the test, collecting payment, and providing the records to those who order testing. The Great Plains Laboratory, Inc. will provide the same quality results and personalized service all consumers expect. 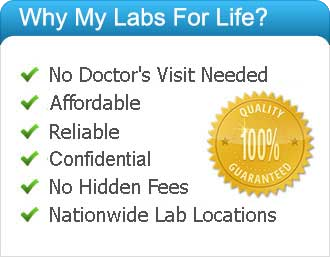 Individuals who choose to order a test thru MyLabsForLife.com are welcome to call Great Plains Laboratory, Inc. for assistance with the collection, status of results, and assistance finding a practitioner for treatment based upon testing. 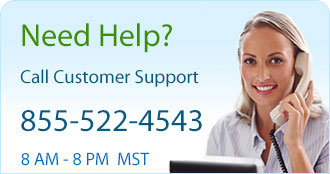 The phone number for Great Plains Laboratory customer service department is 913-341-8949. A free 30-minute phone consultation to assist in the interpretation of our test results is also available. A biomedical approach to treatment is a search for the underlying physiological imbalances contributing to the symptoms someone is experiencing. Treatment recommendations by a health care professional that embraces the philosophy of functional medicine are designed to restore the body to balance and optimize function through nutritional support, diet, detoxification, and reduction of environmental influences. Laboratory testing and environmental assessments can help to identify causal factors and to focus treatment. Routine lab work often falls short of uncovering the subtle abnormalities, which can have a profound effect on health. Unless properly addressed, this vicious cycle will continue to inhibit the various chemical pathways necessary for proper neurological and immune function. The resulting complications may contribute to health challenges. The comprehensive biomedical testing offered thru Great Plains Laboratory will help individuals in tandem with their health care provider reach optimal health by identifying the physiological imbalances that may contribute to chronic disease and trigger symptoms. In order for individuals of all ages to look and feel healthy, the body must have a biochemical balance. Specialty testing can provide specific information about vitamin levels, intestinal flora, immunity, and imbalances in amino acids and lipid metabolism. Test results will help create treatment options designed to improve clinical outcomes by restoring physiological balance through nutritional support, diet changes, detoxification protocols, and reduction in toxic environmental exposure. Biomedical testing uncovers subtle abnormalities that routine lab work often fails to identify, but can usually have a profound effect on health. Need a place to get started? Great Plains Laboratory’s most popular tests provide a snapshot of the clients overall health. Many difficult-to-diagnose chronic conditions have common underlying pathologies. These core tests are chosen by health care professionals to monitor vitamin status, food sensitivities, base line for heavy metals, inflammation status, and microbial balance. Organic Acids Test (OAT): Complete profile that evaluates gastrointestinal function and intestinal dysbiosis, nutritional status, detoxification capacity, and genetic disease. This comprehensive analysis includes 74 urinary metabolic markers and two comparative analyte ratios that evaluate neurotransmitter imbalances. Purchase or learn more here. IgG Food Allergy Test with Candida: Measures antibodies to 93 common foods and Candida albicans. Elevated levels identify sensitivities that contribute to irritable bowel syndrome, migraine headaches, obesity, and many other health concerns. Purchase or learn more here. Gluten/Casein Peptides Test: The presence of these peptides indicates an inability to completely digest wheat and dairy proteins. These peptides have opiate activity and are associated with gastrointestinal, neurological, and neurodevelopmental disorders. Purchase or learn more here. Metals Hair Test: Metal toxicity and mineral deficiencies can impede development and normal brain function. Hair is ideal for initial evaluation of toxic metals and essential minerals because they are more concentrated in hair than in blood. Purchase or learn more here. GPL-TOX: Toxic Non-Metal Chemical Profile General. The Great Plains Laboratory has created GPL-TOX, a toxic non-metal chemical profile that screens for the presence of 172 different toxic chemicals including organophosphate pesticides, phthalates, benzene, xylene, vinyl chloride, pyrethroid insecticides, acrylamide, perchlorate, diphenyl phosphate, ethylene oxide, acrylonitrile, and more. Purchase or learn more here. Glyphosate: Recent studies have discovered glyphosate exposure to be a cause of many chronic health problems. It can enter the body by direct absorption through the skin, by eating foods treated with glyphosate, or by drinking water contaminated with glyphosate. Purchase or learn more here. GPL-MYCOTOX PROFILE: Mycotoxins are some of the most prevalent toxins in the environment. Mycotoxins are metabolites produced by fungi like mold, which can infest buildings, vehicles, and foodstuffs. A majority of mycotoxin exposures are through food ingestion or airborne exposure. In the European Union, 20% of all grains harvested have been found to be contaminated with mycotoxins. Unfortunately, mycotoxins are resistant to heat and many processing procedures.Fungi are able to grow on almost any surface, especially if the environment is warm and wet. Inner wall materials of buildings, wall paper, fiber glass insulation, ceiling tiles, and gypsum support are all good surfaces for fungi to colonize. These fungi then release mycotoxins into the environment causing symptoms of many different chronic diseases. Diseases and symptoms linked to mycotoxin exposure include fever, pneumonia-like symptoms, heart disease, rheumatic disease, asthma, sinusitis, cancer, memory loss, vision loss, chronic fatigue, skin rashes, depression, ADHD, anxiety, and liver damage. With our new GPL-MycoTOX Profile, we can identify mycotoxin exposures and make recommendations for detoxification treatments that have been effective. William Shaw, Ph.D., is board certified in the fields of clinical chemistry and toxicology by the American Board of Clinical Chemistry. Before he founded The Great Plains Laboratory, Inc., Dr. Shaw worked for the Centers for Disease Control and Prevention (CDC), Children’s Mercy Hospital, University of Missouri at Kansas City School of Medicine, and Smith Kline Laboratories. He is the author of Biological Treatments for Autism and PDD, originally published in 1998 and Autism: Beyond the Basics, published in 2009. He is also a frequent speaker at conferences worldwide. Dr. Shaw is the stepfather of a child with autism and has helped thousands of patients and medical practitioners to successfully improve the lives of people with autism, AD(H)D, Alzheimer’s disease, arthritis, bipolar disorder, chronic fatigue, depression, fibromyalgia, immune deficiencies, multiple sclerosis, OCD, Parkinson’s disease, seizure disorders, tic disorders, Tourette’s syndrome, and other serious conditions. You must be at least 18 years old to order a specialty test. Shipping within the United States except NY, RI, NJ. This service is not available in Puerto Rico, Guam, or the U.S. Virgin Islands. Place your order thru MyLabsForLife.com as you would any other test. After your test has been ordered, Great Plains Laboratory, Inc. will ship test kits directly to you. The tests kits will include everything needed to collect and submit the specimen. Shipping in the US is free. Domestic patients will not need to pay FedEx when sending samples to our laboratory. After collecting the sample, please call 1-800-463-3339 (1-800-GoFedEx) for pick up. Remember to mention you have an overnight FedEx billable stamp return. Will Insurance Cover the Cost of Specialty Testing Thru Great Plains Laboratory? Insurance will “not’ pay for the tests ordered through MyLabsForLife.com due to the limited ability of the ordering physician to give a medically necessary diagnosis. MyLabsForLife.com is a convenient alternative for consumers who do not wish to use insurance. The Great Plains Laboratory, Inc. will not provide any insurance information for MyLabsForLife.com testing.